Chevsky is my big love. He unites all good traits of both his parents. 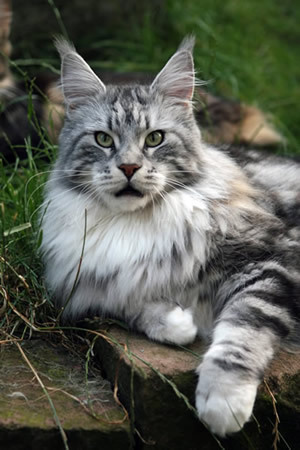 Above all he has a wonderful, majestic expression, which is enhanced by his glamorous, silky coat. His huge, still perfectly placed ears, topped by dense lynx tips immediately strike the eye. Chev is a good uncle. He cleans all the other cats and you would never think from his behaviour that he is a whole male. It was a pleasure to travel with Chevsky to the cat shows. 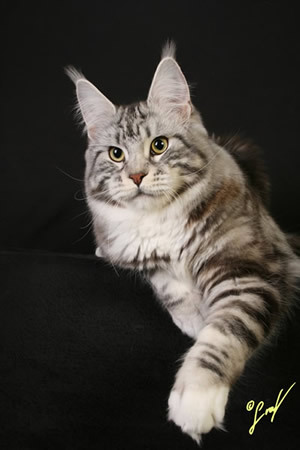 When still a kitten he won a standing in the TICA Europe North Regional Awards. I only wanted to get a title on him as an adult, instead of showing him excessively to a Regional or International Award. After all, he had already achieved that as a kitten. 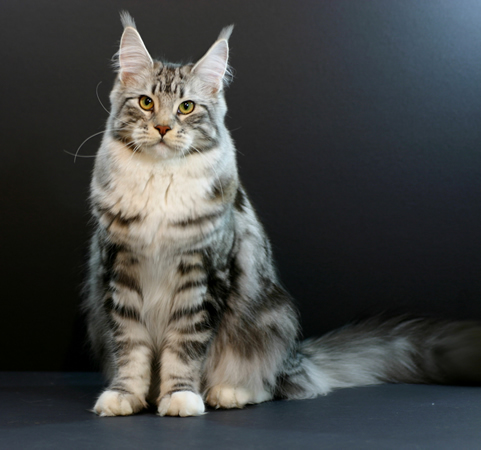 So, I was very pleasantly surprised when I realized at the end of the 2007/2008 season that he not only achieved a Regional Award as a kitten but also as an adult. 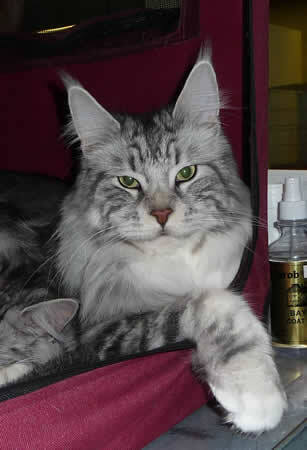 Then in the 2009/2009 season we only attended two shows, but again Chev was among the 20 best cats in Northern Europe! We are very proud of our boy’s achievements but he is even better as a lap cat then he is as a show cat! We hope that Chev will pass on his unique character and his beauty to his kittens. He has sired his first litter at Beaverscove Cattery.